We are specialized in the marketing of premium products for advertising material and premium trade. The products are in stock in Germany and can be delivered in the CI of the customer. We are extremely fast and deliver already 14 days after final release. 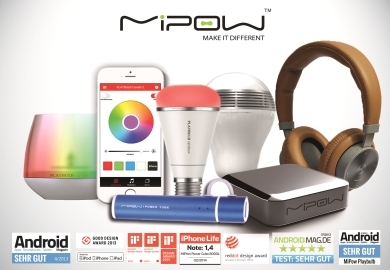 With MiPow products you leave behind products which convince by optics, haptics and functionality. Guaranteed!